This a story about how we can think differently about material waste, upcycling, and the circular economy. 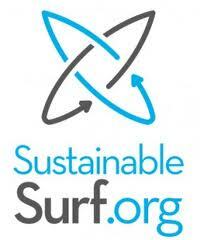 Sustainable Surf (sustainablesurf.org), and Waste to Waves. Sustainable Surf is a California-based 501(c)(3) non-profit charity organization founded by social entrepreneurs, located in the heart of the Southern CA surfing industry. Their Mission: Be the catalyst that transforms surf culture and industry into a powerful community that protects what they call, the ocean playground. They believe that surfing can become the premier showcase of people and businesses working together to solve environmental problems while having fun. They take an whole “systems thinking” approach with innovative programs and campaigns, which engage both individuals and businesses together in partnership to solve the most pressing environmental issues facing our oceans, caused most significantly by the impacts of climate change. Reef Presents: Waste to Waves from Russell Brownley on Vimeo.